Mentors are available to assist volunteer attorneys in specialized areas of poverty law. 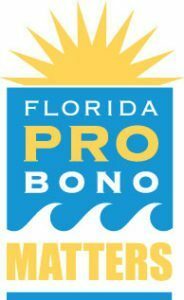 Accounting of your Three Rivers’ pro bono hours for reporting to the Florida Bar. For more information on volunteer opportunities for attorneys, call one of our locations or contact volunteer@trls.org. I would like to participate in an "Ask a Lawyer" clinic. There are pro bono opportunities to match all skills, interests and availability! Three Rivers Legal Services offers periodic training in a wide variety of practices and specialties that are of vital assistance and interest to the attorneys who represent our clients. For a schedule of upcoming seminars and events, see our Upcoming Training classes. Three Rivers Legal Services is looking for a law student (2L and up) to work with the UF Health Senior Medical-Legal Partnership, an exciting new program that provides civil legal services to low income hospital patients aged 60 and over. All clients are referred directly by UF Shands, and lawyers work closely with healthcare providers to address obstacles to health. The law student would work directly with an attorney and paralegal in a variety of civil legal areas, with emphasis on health law, elder law and public benefits. Engage in supporting your local community by providing pro bono legal services through Three Rivers Legal Services Volunteer Attorney Program. Volunteering is an opportunity to utilize your unique skills as a lawyer to help others navigate the law. Contact Three Rivers Legal Services directly at volunteer@trls.org or search through available pro bono referrals at the Florida Pro Bono Matters website at the link below. Three Rivers salutes Lake City attorney John Kendron, who has been volunteering with us for more than 15 years. On Thursday, January 25th, he received the Florida Bar’s Pro Bono Award for the Third Judicial Circuit of Florida, at a ceremony at the Florida Supreme Court in Tallahassee. During the past few years John has provided more than 100 hours of services to 15 clients with probate and guardianship matters. These clients were mostly low-income and elderly homeowners trying to clear title to their property so they would be eligible for funding to make their homes safe and habitable. John also volunteers with numerous other organizations, such as the Office of the Public Guardian, Columbia County Senior Services and St. James Episcopal Church. 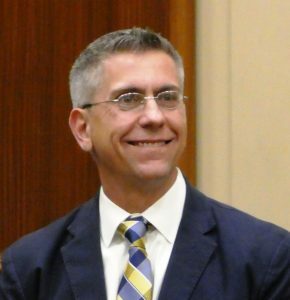 He is a very active member of the Third Judicial Circuit Bar Association, currently serving as President. Mr. Kendron has been active in support of his community by serving as the Teen Court Judge for Columbia County and on the Board of Directors of Columbia County Senior Services, Inc. In addition, Mr. Kendron has dedicated pro bono representation to firm clients and clients of Three Rivers Legal Services, Inc., having estate planning, probate and real estate needs. Mr. Kendron has been recognized by the Florida Bar for his pro bono service when he was presented the Florida Bar’s President’s Pro Bono Service Award for 2005 and 2008. Thank you to Robert “Bob” Ackerman for the variety of ways he has assisted our clients and Three Rivers Legal Services. Bob has volunteered with our Small Claims Clinic in the Gainesville office for more than 15 years. As a former small businessman and attorney specializing in commercial litigation and insurance defense, Ackerman provides advice to clients with small claims, wage claims and security deposit returns at monthly small claims clinics. Additionally, he has advocated for Three Rivers Legal Services for funding and other purposes. 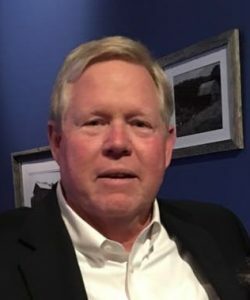 Ackerman is an active member of the Gainesville community, sitting on the City Plan Board, the Alachua County Coalition for the Homeless and Hungry Board, and the Grace Marketplace Empowerment Center Advisory Board. He previously served on the Alachua County Charter Review Commission and the Gainesville Community Development Review Committee. We are grateful to Mr. Ackerman’s commitment to assisting the legal needs of the low income members of our community. Thank you to William “Bobby” Brown, Jr. of Foley & Lardner, LLP, for his exceptional work representing low income tax payers before the IRS on behalf of Three Rivers Legal Services. Between three clients, Mr. Brown recently reduced tax debts totaling $140,422 to only $1,082. Bobby Brown is a real estate business lawyer with the law firm of Foley & Lardner LLP, focusing his practice on retail, commercial and multi-family acquisitions, dispositions, development, leasing and finance, while also assisting clients with real estate, title, and survey issues that arise in the development, construction, financing, and disposition of wind and solar energy projects throughout the U.S. Prior to joining Foley, Bobby served as a senior attorney in the Office of Chief Counsel for the IRS. 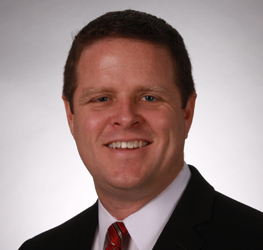 He continues to utilize his experience at the IRS to assist clients with their federal tax issues – including the pro bono clients that he’s met through Three Rivers Legal Services, helping them resolve their cases with the IRS both administratively and within the U.S. Tax Court. During Foley & Lardner’s 175 year history, the firm has always been dedicated to providing quality pro bono legal services to ensure every person and organization, regardless of financial means, has access to equal justice under the law. Most critically, the attorneys, paralegals and staff of Foley & Lardner are grateful for the strong and lasting relationships that they have with all of the firm’s clients and remain dedicated to helping them achieve their goals and aspirations. The law firm of Nelson Mullins Riley & Scarborough LLP is closely tied to the communities in which it practices and has a long history of pro bono service for those who have served their country. In the firm’s Jacksonville office, attorneys, paralegals and staff regularly dedicate their time and talents to help individuals with limited means. Nelson Mullins is proud to work with Three Rivers Legal Services, Inc. to provide civil legal services for low-income veterans. The Gainesville office of Three Rivers Legal Services, Inc. has volunteer opportunities for UF Law Students. If you are interested in volunteering, please email volunteer@trls.org or call our office to speak to the Managing Attorney. If your organization is looking for a pro bono project, please contact us at volunteer@trls.org and our pro bono staff will work with your organization to design a project for your members. If you want to volunteer in order to help the community and gain work experience while you are waiting for your bar results or seeking employment contact us at volunteer@trls.org for volunteer opportunities at our organization. If you are in an undergrad or graduate program and are interested in volunteering with us contact us at volunteer@trls.org. We will try our best to provide you with a meaningful volunteer experience. NOTE: These volunteer opportunities are based on our program’s time and space availability. If you want to volunteer in order to help the community and gain work experience while you are waiting for your bar results or seeking employment, please contact us at volunteer@trls.org.